Scarves are a long term obsession of mine, so much so that I once totally shocked someone in my uni class with my Australian accent. Upon enquiry as to why they weren’t expecting Aussie drawl to escape my mouth they replied ‘Oh I thought you were French because you wear scarves all the time’. So there you have it. Want to look like you belong in the pages of ‘How to be Parisian Wherever You Are‘? Don a scarf and you can fool anyone. Don’t have a scarf? Never fear… Windward Made will sort you out. 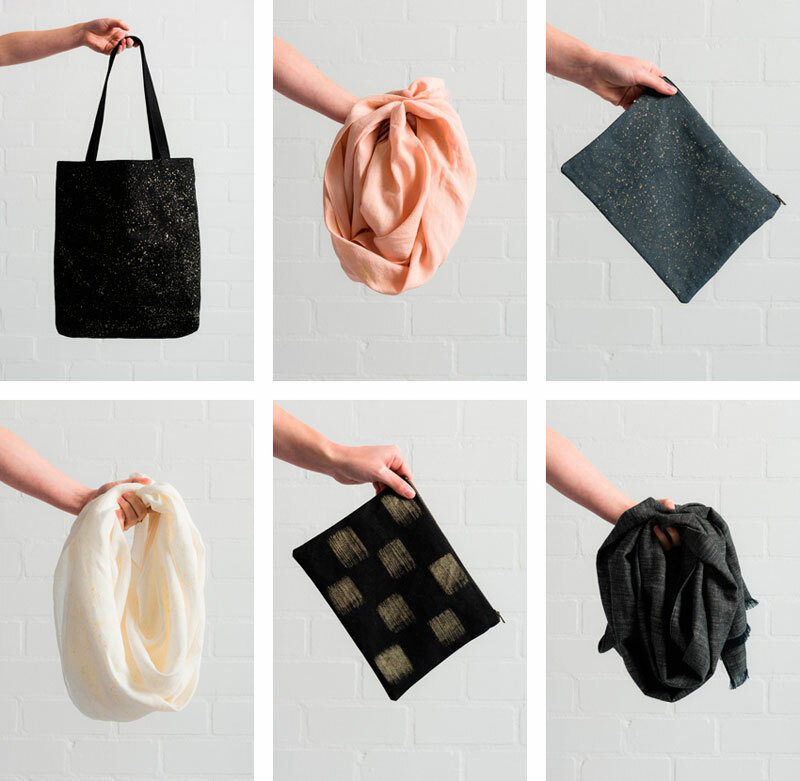 In need of a new scarf (or pouch, or tote bag)? Why not buy the prettiest and most gosh darn sustainable one that you can find!? When the lovely Inge van Geem designer of Windward Made popped up on my radar I just knew I had to share her beautiful designs with you all. Her scarves are what initially caught my eye but Inge is not a one trick pony when it comes to design. She also crafts some epic tote bags and a beautiful pouch collection. So why look to Windward Made for your new scarf? Windward made epitomises the idea of slow fashion and mindfully made goods. 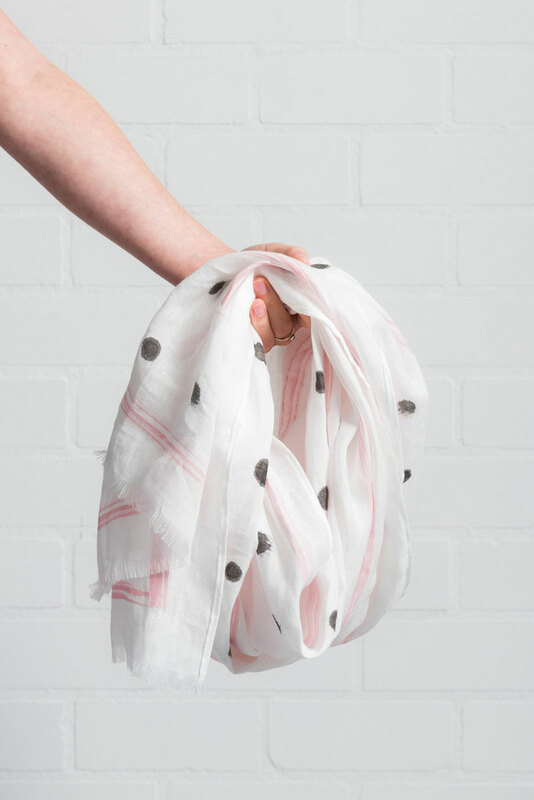 Embracing her Dutch eye for design Inge lovingly creates her beautiful scarves using luxurious linen, organic cotton thread, non-toxic ink and her own two hands. 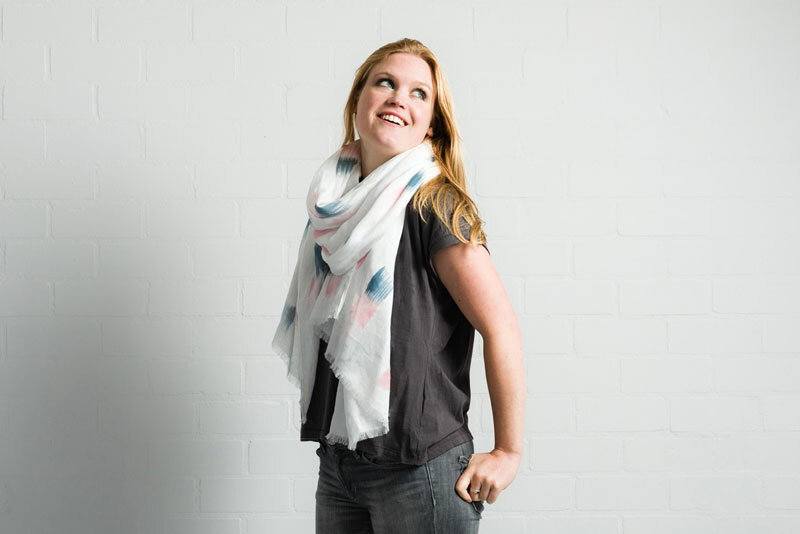 Her designs embody pattern, colour and simplicity and she hand paints each unique design onto each scarf she creates meaning that no two will ever be exactly alike! Inge made the decision to paint her scarves by hand as it requires no electricity and wastes very little water or paint and allows her to have full control over the process, opting for water-based eco-friendly inks. The linen fabric used to produce the scarves is grown, harvested, spun and woven just 222km from Inge’s home. Flax (linen) is a very eco-friendly crop; it does not require irrigation during growth, and considerably fewer pesticides and fertilizers than other crops. All parts of the plant are used, so there is no waste, and the fabric is 100% biodegradable and recyclable. Linen is strong and holds its shape, has luxurious drape and handle, and will last for years to come! Meaning that a Windward made scarf (while a little more pricey than a Zara purchase) is a long term investment buy. All Windward made scarves are cut by hand and sewn by Inge on her vintage sewing machine. The final step before it’s sent to it’s new home is a quick iron to make the print colour fast. Then the pretty new scarf is on it’s way to your door. Hope that you enjoy ogling this little gem of a company as much as I do. I’m not in the market for a scarf any time soon (in fact I think I have more scarves than one would ever need in a lifetime) but if you happen to end up buying one please let us know all about your new scarf love in the comments section below. NextHow to be a More Socially Responsible Business. Thanks for introducing me to this wonderful green label. I love scarves because they make my wardrobe very versatile. Wearing the same outfit with a different scarf changes so much and allows me to have less clothes than I did years before. And yes, I just ordered one of the scarves. It’s amazing that I read about Windward Made, a Dutch label, on a site run by someone from Australia while I’m living in Germany. Thanks so much for the feedback Sabrina and I am so happy to hear that you have made the leap and invested wisely in your scarf collection. It’s pretty mind-blowing how much a scarf can transform any outfit and I think I will be relying heavily on them for my month long black dress challenge for Dressember. Ha ha ha. Yes! The globe is such a small place now with all the technological advances. It’s nice to be able to share some of these small labels because unfortunately they don’t have big advertising budgets and it can be difficult for them to promote their work. Small advertising budgets is probably one of the biggest challenges for most sustainable and ethically minded companies. Hope to hear more from you in the future and I would love to know all about your new scarf when it arrives.